This classically styled super soft cotton sweater is a must have wardrobe staple this season! Featuring a round neck and fun mammoth print. 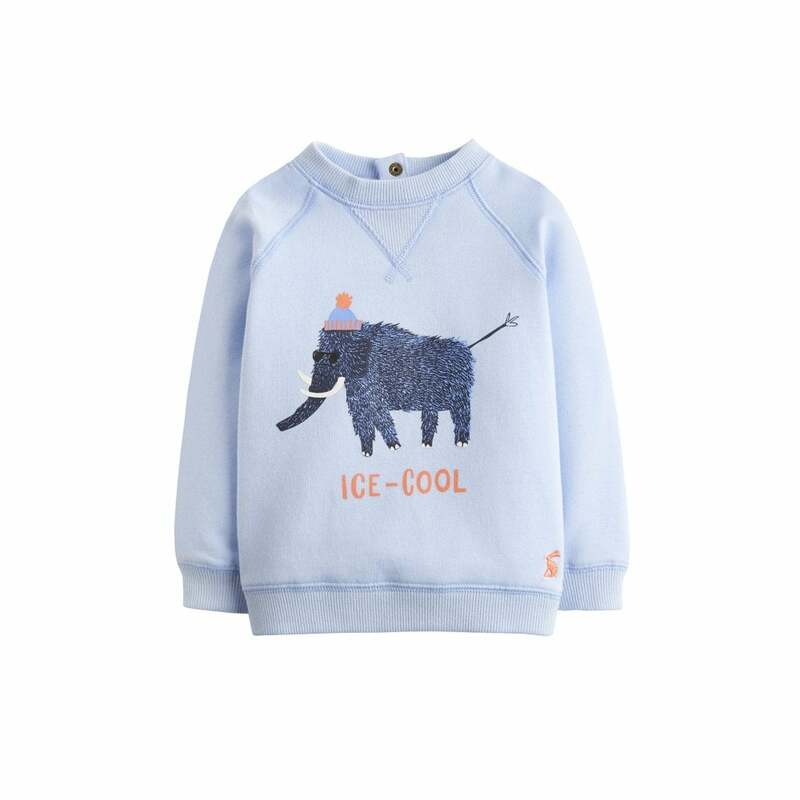 This versatile jumper is great to layer up and keep him snug, whilst looking 'ice cool' and adorable.